This incredible image of BigFoot was recently snapped by an amateur photographer named Darko Revkian just outside the quirky town of Moorhead, Minisoda. 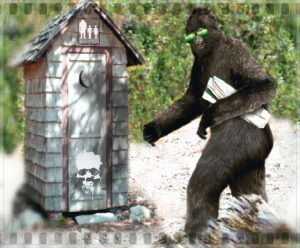 Moorhead, MN – One of our trained spotters who was out doing some bird watching recently got what is believed to be the best picture ever of The BigFoot. Darko Revkian and his camera were in search of a pileated woodpecker’s nest when he noticed a large creature walking towards an outhouse. BigFoot experts think that the beast might be en route to Canada in the wake of Donald Trump’s successful bid for the White House. In the meantime, Moorhead authorities are telling residents to shelter in place until the “All Clear” notification is given that The BigFoot is no longer wandering around the area.